When was the last time you didn’t bounce back as quickly as you usually do? I was recently asked this question and surprised myself by answering, “a couple of weeks ago”. It’s one of those questions we should all ask ourselves – but rarely do. 2014. Given the constant ambiguity and change in organisational life, and continual bombardment with information which wears people down, clients regularly tell us that increasing the resilience of their team members would have a positive impact on people’s performance and business results. So, what do we know about resilience and what can you do to increase your own resilience and be a role model for those you lead? In a practical sense, resilience is the ability to deal with challenges, recover, adapt and move on, embrace learnings from experiences and mistakes. According to Zolli and Healy in Resilience, Why Things Bounce Back, our social and physical environments also play a role in helping us deal with adversity – from having a friend, mentor or family member to share concerns with and seek advice from, to regular exercise, access to green space and personal habits such as meditation and mindfulness. The Centre for Creative Leadership offers some great tips for dealing with stress and building resilience in its Wake-up white paper. It sees ‘rumination’ as the root cause of stress, which it defines as “the mental process of thinking over and over about something, which happened either in the past or could happen in the future, and attaching negative emotion to it”. Ruminators have chronically elevated levels of the stress hormones adrenaline and cortisol. When we keep ruminating our bodies have no chance to recover, the immune system suffers and we are more likely to get sick. Spending a lot of time thinking about the ‘what ifs’ and the ‘if onlys’ also means it’s impossible to be present and focused on the things that matter – like work, family and friends. The key to breaking the rumination cycle is to wake up! Stop thinking about the past or the future and be fully present and concentrate on what you are doing right now. Focus on what you can control, try to maintain perspective, and make a conscious decision to let go of things you would usually ruminate upon. Meditation can help, as can regular exercise and finding your ‘flow’ activity (mine is golf but yours might be running, gardening, cooking, renovating…). According to the Center for Creative Leadership, you can change your views, habits and responses by modifying your thoughts and actions. This will help broaden your outlook and become less narrowly focused – and more able to adapt to change. times of change. Do not hold onto old behaviours and skills, especially when it’s obvious that they don’t work anymore. 3. Take charge of your own career and your own development. you put it into a larger context. A clear sense of purpose helps you to assess setbacks within the framework of a broader perspective. facet of your identity, and a career is just one aspect of your life. Separate who you are from what you do. relationships. Relationships create a strong base of support – a critical element in achieving goals, dealing with hardships and developing perspective. 7. Reflect. Whether you’re riding a success or enduring a hardship, make time for reflection. Reflection fosters learning, new perspectives and a degree of self-awareness that can enhance your resiliency. Learning from adversity in the workplace e.g. missing your monthly objectives, not winning a major deal by reflecting on the decisions in the context and considering what changes you can make for the future is empowering. how you see your skills, talents and interests. By casting your skills in a new light, you can see how they might shift into new patterns of work and behaviour. 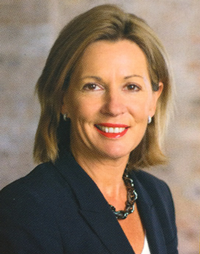 About the author: Virginia Mansell, Executive Chairman, Stephenson Mansell Group. very best. The 2nd Edition is now available. In 1998, Virginia established The Mansell Group to provide coaching and leadership development services. internationally and has worked with 30 of Australia’s top 50 companies.